Join us live each week at http://www.productivity.academy/live and get your questions answered by submitting them at anytime right here: www.productivity.academy/questions. As a business owner, there will be times when you’ll feel overwhelmed. Running a business means pouring all your energy into your project, learning new skills fast, improving yourself and your productivity… the list can go on and on. But you will also reach a point where you will honestly feel it has become too much to handle on your own. No need to panic: it can be a sign that your business is growing successfully. And it’s also a sign that you need to start hiring so that you can work on your business in the critical areas. Building a successful team may feel intimidating at first. Of course there is the cost, but also how to find the right assistant straight away, how to train your team properly and manage people effectively — I know that several years ago I was intimidated when considering all of the areas that needed to addressed. I will condense all my best tips for first hires into this article, but before you put your job ad out there, make sure to also read my complete first hire checklist — a simple guide to save you time. You may think you know why you want to hire an assistant, but you’ll be surprised to know how many entrepreneurs I’ve seen confused by questions like what is it that you want them to do? You are reading this because you reached a pain point, so take a step back and reflect on that pain point. What is making you feel overwhelmed? Answering “I’m too busy” is not enough, be specific and be honest with yourself. A good way to narrow your answers down is starting broad and writing them down. You will notice that you will get progressively more specific and even give practical examples and tasks (or keep going until you do!). There will be a point during your pre-hire process where you will start envisioning what team success looks like to you. You will be able to see the skills of your ideal assistant or team member, their communication habits, their technical knowledge. For some people, it may not be during this first step. But it is important to have clear ideas before starting the hiring process. There is nothing worse than hiring a new team member and not knowing how to get their work started. The best question you can ask yourself to see if you are ready to welcome someone on board is: do you have a process in place for them? The answer doesn’t necessarily have to be Yes. But you need to be aware of whether your hire will be able to hit the ground running or you’ll need to build a process together. That may require training hours in person, or recording a video tutorial and shared screens remotely. It is not the end of the world. But it takes effort and if you are already working overtime, you may feel even more stressed out. The next step is thinking about specific tools your team may need. It may be a simple laptop, specific software, etc. As you are the boss, it is also important that you reflect on your favorite communication channels. Would you prefer your assistant to talk to you via emails, Skype, or Slack? Once you figure this out, it is an important point to include in the interviewing process. Write down the tasks you’d like them to perform. Keep it nice and specific, but also short. Think of how long it would take a person to complete them. Create your job posting. Look for keywords related to the position you want to cover to see what the job market looks like. “Social media” is too broad, but “social media posting” will already give you good results. Use a hiring funnel. It will save a lot of your precious time and even spare you from a few headaches. I suggest that you check out Outsource Kingpin. Start small. You will figure out a lot of things along the way so it is a good idea to take baby steps and initially hire someone part-time for repetitive tasks that take up a few hours of your week. Also, you don’t always need to hire a highly specialized manager. If you have good processes in place, a less experienced professional will be more affordable and give you optimal results. Set Ground Rules. I do this with an onboarding document. It can be very simple and lays out how you prefer to communicate, what tools to use and how to use them, and any other items that a team member has to know to “hit the ground running”. 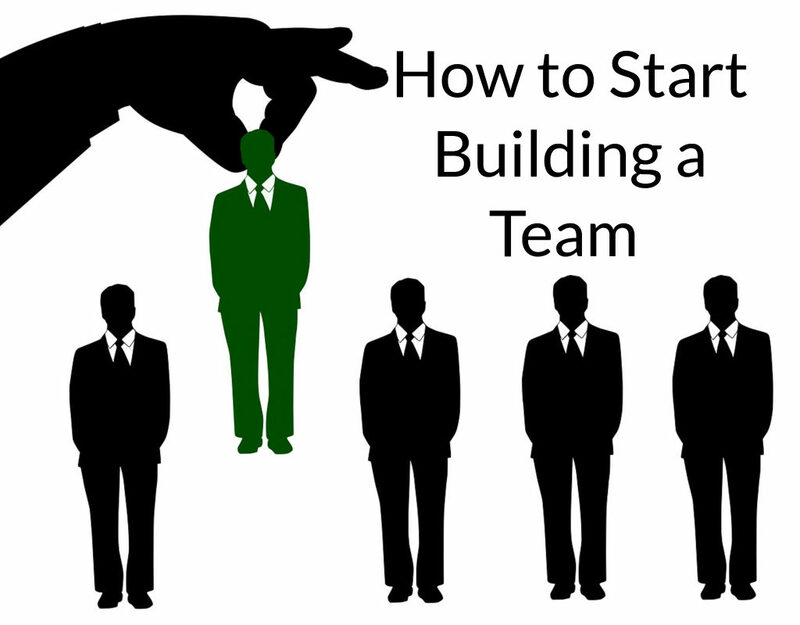 With your first hire(s) out of the way, you’re now in place to create an effective team. One of the important factors is clear communication with members of your team. This can be 1 to 1 or 1 to many – the point is that everyone appreciates communication and you need to decide how this will work best. The last idea highlights an important team building process. Once you have more than one person working for you, if someone really stands out, consider making them a team leader that can manage the others. This can be a VA, part time employee, or full time. The point is to reduce the number of people that directly report to you and have a manager that can handle the simple questions and needs of team members – remember, your goal isn’t to manage, it’s to lead the business! Managing is a part of that, but you need to ensure you don’t end up with all of your time spend managing low level tasks. 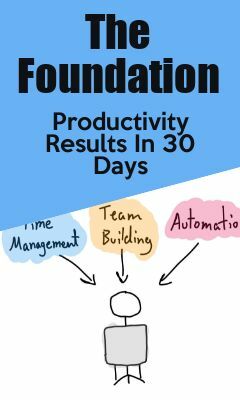 This article was posted in How To Be More Productive.